The message send via satellite test was gut wrenching. 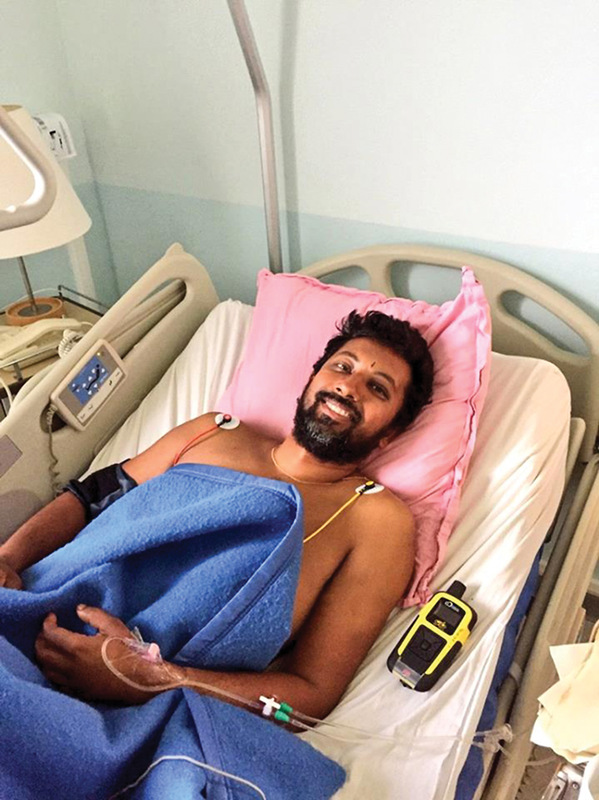 That was the last message received from 39-year-old Indian solo sailor Abhilash Tomy after an uncharacteristically severe storm ripped through the front of the Golden Globe Race fleet in the southern Indian Ocean September 21. 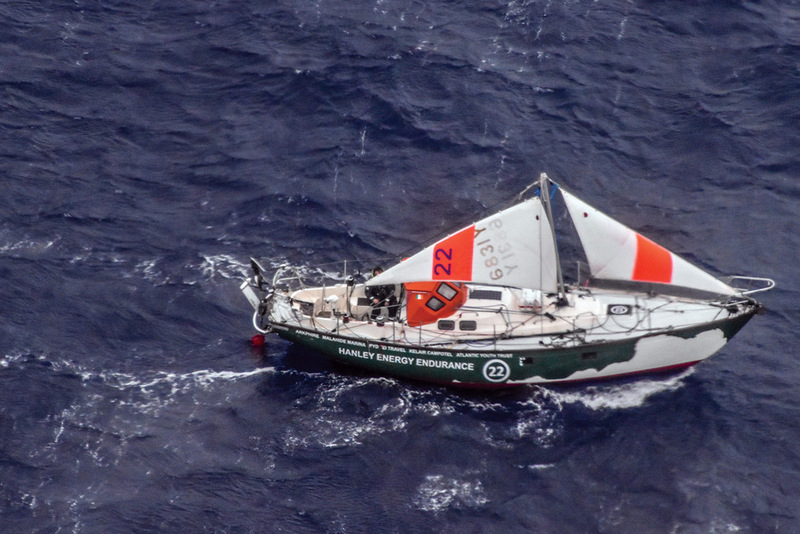 Abhilash Tomy's replica of Suhaili was rolled and dismasted 2,000 miles from land. Race followers held their breath. Race organizer Don McIntyre began organizing a rescue even as Tomy’s status seemed dire. And then, 18 hours later, a sigh of relief. Tomy was alive. 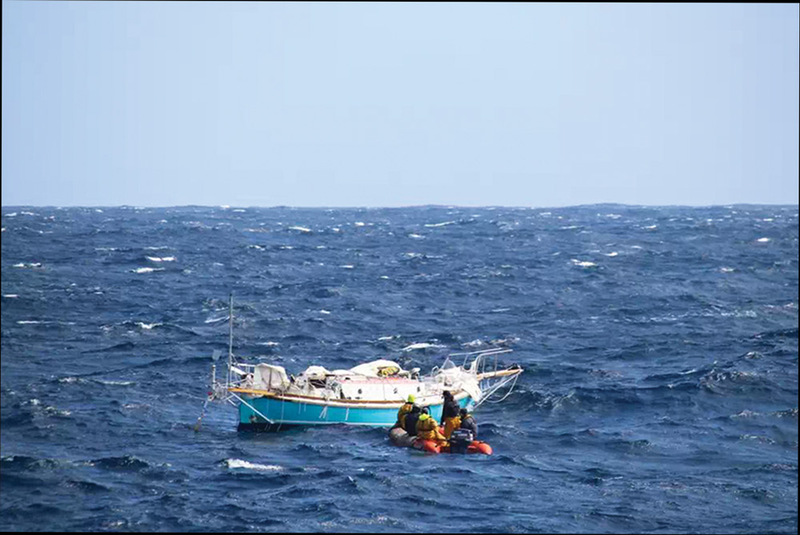 What followed was a massive rescue effort that played out over three days as McIntyre and his team tried to get help to the injured sailor, who was 2,000 miles from the nearest civilization in part of the most brutal ocean in the world. Abhilash Tomy is rescued in November. Tomy was one of 18 skippers who started the Golden Globe Race, a solo, nonstop around-the-world competition modeled after the original race of the same name sailed in 1968. Only nine of the starters were still competing at press time. He was sailing a 32-foot replica of Suhaili, the winner of the original race won by Robin Knox-Johnston. Gregor McGuckin, Tomy and Mark Slats were the front group of boats, bested only by Jean-Luc Van Den Heede, who was nearly 900 miles in front of them. McIntyre had been warning the group of three of a massive storm—larger and more severe than is typical even in a place known for such storms—for days, attempting to route them to positions that would allow them to avoid the worst. But there was no escaping the storm’s wrath. Shortly after McIntyre posted a video explaining the severity of the weather conditions, Tomy reported that his mizzen mast had broken. McGuckin reported that he had been rolled and dismasted but was uninjured and able to cut away the mast. Then came Tomy’s ominous text. Meanwhile, Dutch sailor Slats, who was in front of the other two sailors, was managing to keep his boat upright but dealing with what he later described at the most challenging conditions he’d experienced in his previous solo circumnavigation and a transatlantic rowing challenge. As he sailed through the eye of the storm, the wind dropped from 60 knots to nothing but enormous, confused waves wrecked havoc. At one point a wave crashed over the transom, breaking the companionway slide, filling the cabin with 2 feet of water and causing an electrical fire Slats was able to quickly extinguish. 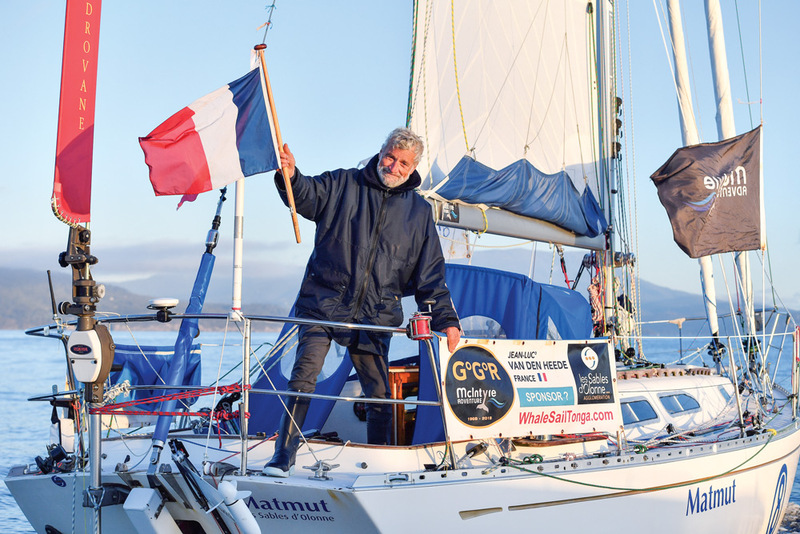 Gregor McGuckin erected a jury rig and sailed to help Tomy, who ended up being rescued by a French fisheries patrol boat. By the time Tomy’s second text message came, a massive rescue plan was underway. McGuckin had assembled a jury rig and was sailing toward his injured competitor 90 miles away, and French fisheries patrol boat Osiris, 125 miles, away was headed for him, but both were making slow progress in the rough conditions. 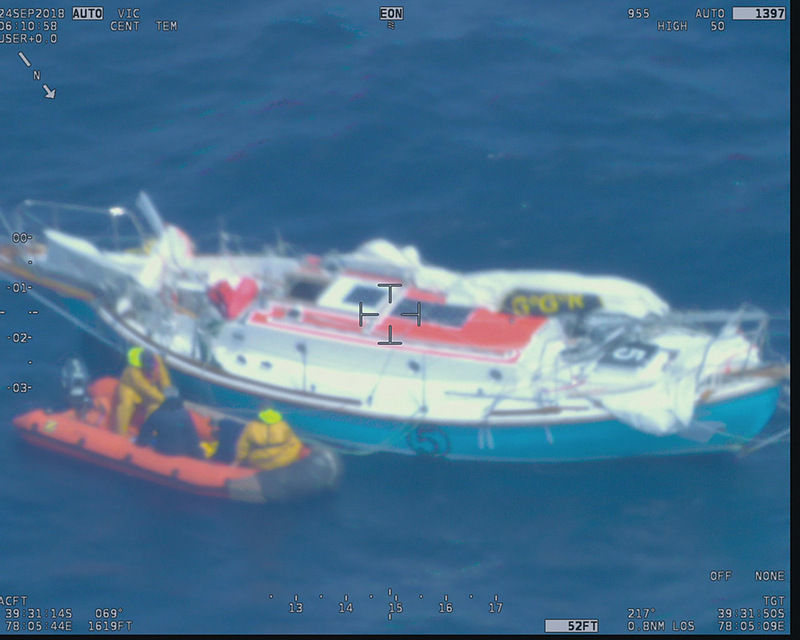 The Joint Maritime Rescue Coordination Centre in Australia had also dispatched a frigate from Fremantle and the Indian Navy diverted two ships to assist. Multiple planes had also been dispatched. Tomy, confined to a bunk because of his injuries, managed to reach his EPIRB but was unable to get on deck to clear the rig or get other supplies. All he could do was wait. On September 24, a RIB launched from Osiris pulled up to Tomy’s boat. Abhilash Tomy smiled from a hospital bed on Ile de Amsterdam, his YB tracker that was his only method of communication, at his side. Osiris, which was on its last mission before being scrapped, also picked up McGuckin, who was still making slow progress with his jury rig and a non-functioning engine. Although McGuckin was not in danger, he made the decision to leave his boat out of an abundance of caution, McIntyre said. Neither of the competitors’ boats were scuttled, as the crew on Osiris advised it was not legal. Both boats race trackers are still active and transmitting. The sailors were taken to Ile de Amsterdam, where they received medical care. X-rays showed Tomy had no broken bones, and when he arrived in India in October he gingerly walked off the plane. Tomy and McGuckin said the storm was a monster. Meanwhile, the remaining sailors in the fleet had sailed only about one-third of the race, all far behind 73-year-old Van den Heede, who at press time was nearly 3,000 miles ahead of Slats, his closest competition and 6,000 miles ahead of Igor Zaretskiy at the back of the fleet. The Russian sailor has been struggling with injured hands. Van den Heede was the first to pass through the Hobart film gate on October 6 and anchored for three and a half hours to chat with media, check his mast and rigging and drop off film and letters. The competitors are not allowed any outside assistance and may not use any technology that was not available in 1968, so they have very little opportunity for communication with friends and family. Van den Heede said he estimates he will arrive at the finish in Les Sables d’Olonne in February. American competitor Istvan Kopar, who has had ongoing problems with his windvane steering, was in sixth at press time, after stopping to give water to solo circumnavigator Kjell Litwin, who is not competing in the race. Kopar delivered 20 liters of water to Litwin, who was running low on water nearly 3,000 miles from Australia.